Experience the inimitable sights of autumn in New England, and leave no leaf unturned! Jerry Monkman is an adventure and conservation photographer and writer, based in Portsmouth, New Hampshire. During the last decade, his photographs have contributed to the conservation of several hundred thousand acres of wilderness across New England. His writings and photographs about New England’s wild and noteworthy places have been published by publications around the world, including National Geographic Adventure, Backpacker, Yankee, Down East, Men’s Journal, and the Washington Post. He currently lives in Portsmouth, New Hampshire with his wife Marcy and their two children, Acadia and Quinn. Since 1993, Marcy Monkman has managed EcoPhotography, a conservation photography business that she co-founded with her husband, Jerry. 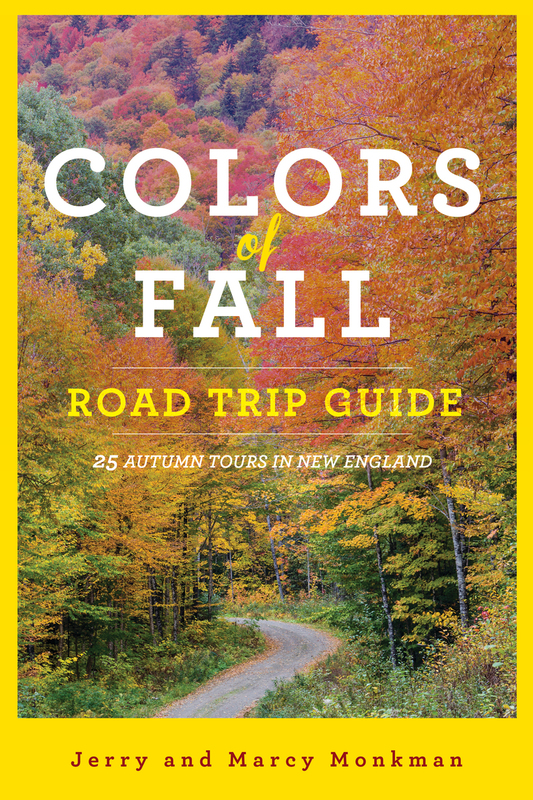 She has also co-authored adventure guidebooks and photography books about New England, including Discover Acadia National Park, The Colors of Fall, and The Colors of Fall Road Trip Guide. She currently lives in Portsmouth, New Hampshire with her husband and their two children, Acadia and Quinn.